South Miami OB/GYN Associates always appreciates feedback from our valued patients. To date, we’re thrilled to have collected 212 reviews with an average rating of 4.94 out of 5 stars. 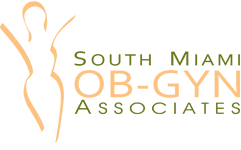 Please read what others are saying about South Miami OB/GYN Associates below, and as always, we would love to collect your feedback. Excellent doctor and service. Loved the punctuality of my appointment and the calm feel there is in the waiting rooms. She's the Best and all her staff!!! Dr. Horst and his staff are very professional and kind. He genuinely cares, he is the best! She is the best GYN doctor, that I ever had. Always have a great experience during my annual checkup. Dr. Hirsch is the best. I have been a patient of Dr. Horst over 14 years. He delivered both of my kids. He’s extremely professional but has compassion. I have never felt rushed with him. He takes his time, answers questions and as he became my doctor during my first pregnancy, he put me at ease during the biggest change in my life! Becoming a mom! His office is extremely accommodating, return calls and respond to questions and prescription request very quickly. I highly recommend both Dr. Horst and the entire practice. Dr. Chi was amazing through my pregnancy and during the c-section. Thank you. I absolutely love this doctor!!! She explains everything in detail if there’s a problem and she makes sure you understand. The staff is friendly and attentive, never rushed. It’s a great environment all together, making you feel like your needs are important. I would highly recommend De. Chi to anyone. I’ve already sent my daughter and two friends. Love Dr. Miranda. Always so professional and yet so personal. Excellent - love Dr Hirsch and his staff! I love Dr. Vizoso! He listens to you, makes you feel super comfortable, and is always so uplifting and courteous. 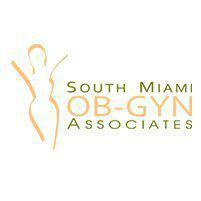 At South Miami OB/GYN Associates, we accept most major insurance plans. Here is a short-list of just some of the most popular plans we accept and click here for the full list. We do not accept insurance for cosmetic procedures. Please contact our office if you do not see your insurance provider listed.